Actor Chris Pratt has some biblical -- and humorous -- words of advice for the next generation. The "Jurassic World" star put his faith on full view when he accepted the "Generation Award" at Monday night's MTV Movie & TV Awards and imparted his nine essential life rules. Number one? "Breathe," Pratt said. "If you don't, you'll suffocate." Two: "You have a soul. Be careful with it." And three, in Pratt's words, "Don't be a turd." He also quipped a few more less-serious lessons, like how to best use the bathroom at a party and how to give a dog medicine, before getting to his deeper, more powerful words of wisdom. Rules six and eight seemed to strike the biggest chord on social media. "God is real. God loves you. God wants the best for you. Believe that. I do," Pratt said. "Learn to pray. It's easy and it's so good for your soul." Pratt, 38, then wrapped up his speech with his last rule: "Nobody is perfect." "There is a powerful force that designed you that way and if you're willing to accept that, you will have grace. And grace is a gift," Pratt told the audience. "And like the freedom we enjoy in this country, that grace was paid for with somebody else's blood. Do not forget it." 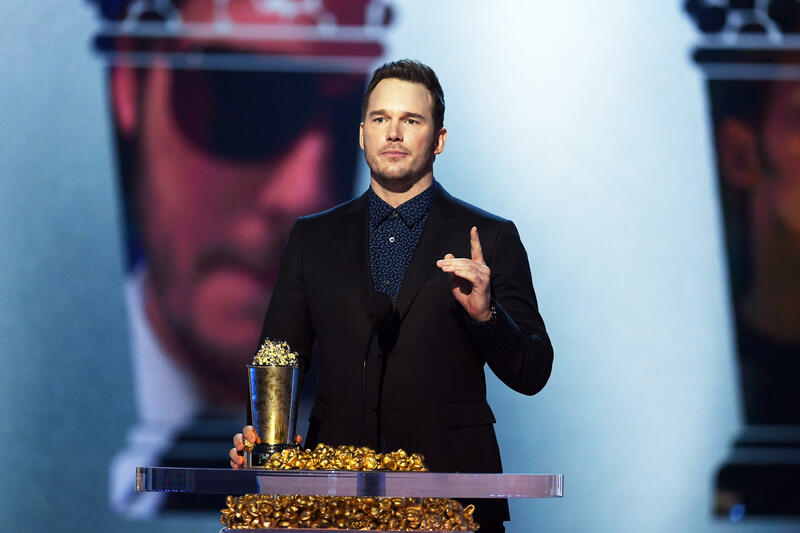 Pratt accepted the award from his "Parks and Recreation" love interest Aubrey Plaza and his "Jurassic World" co-star Bryce Dallas Howard. He also thanked his family for their support and gave a special shout-out to his 5-year-old son, Jack.